Team building that transforms your culture! One of the world's most successful and globally renowned cultural improvement programs ever developed. FISH! programs help your team adopt remarkable practices that profoundly improve morale, internal relationships and client relationships. If you're looking for a practical, fun and respected team building and cultural improvement program then FISH! is your solution. A new culture is waiting for your company. Allow our accredited & expert FISH! 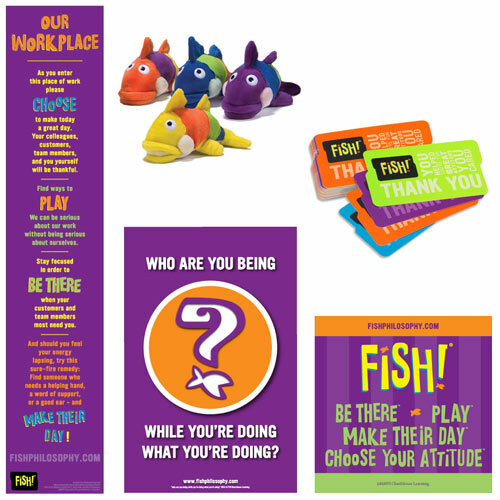 trainers to come to your workplace and introduce your workforce to a new way of relating, interacting, producing and experiencing with the four FISH! practices. BE THERE is being emotionally present for people. It's a powerful message of respect that strengthens relationships. PLAY is tapping into your natural way of being creative and having fun. It allows curiosity and enthusiasm to flow in childlike wonder without being childish. Play is an attitude you can bring to everything you do. MAKE THEIR DAY is about valuing the people you lead, and constantly finding ways to show how much you appreciate them. CHOOSE YOUR ATTITUDE means taking responsibility for how you want to show up for the people you lead. While you can't control what happens to you, you can decide how to respond. You control your attitude, instead of your attitude controlling you. Then we assign a trainer that has the right expertise, experience and style to really connect with your team. Your trainer will change the text book activities to be directly applicable to your workplace and relevant to your team. For example: If the example activity is based in a retail setting, but you work in a customer service call-centre, we will adapt activities to reflect the culture of a call-centre environment, so your team will be learning relational tools and techniques that really make sense to their world. Learn today, and apply tomorrow! Our relaxed and practical approach with experienced trainers that like to 'have a laugh' will ensure your team enjoy the experience of learning as much as they enjoy acquiring new skills that help them perform better. Your participants will return from the course energised, excited and ready to embrace a new culture of customer service in your workplace. 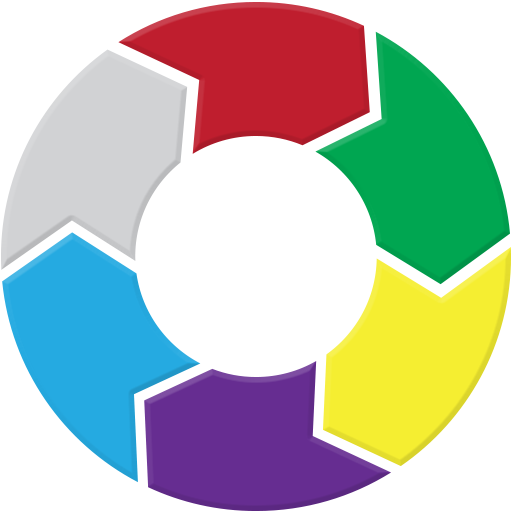 These courses are activity based learning. Participants receive some back ground theory, then the trainer facilitates activities that are tailored to your workplace. Participants are then given the chance to practice tools and techniques that they will be able to take back to their workplace the very next day. Our trainers are experts in adult learning, and realise that the BEST way for an adult to take something on board, is to hear a theory, give it a go - and then really pull it apart. Our trainers will also encourage conversations involving everyone in the room. These detailed and robust conversations focus on the reality of applying what is learned in class back on the job. We recommend a group of 6-12 for the best learning outcome. However we run great coaching sessions for 1-2 people, and informational sessions and conferences for 20-200 people. Visit our in-house training page to see all of your group booking options. Really, we will work around your operational needs. We normally train in business hours, and run sessions of between 60 minutes and 7 hours in length - just tell us what makes sense in your world. Ideally, the FISH! program requires a full 7 hour day to draw all the benefit from the interactive team building activities. We make it easy - with automation and reporting in the cloud! Our relaxed and practical approach with experienced trainers that like to 'have a laugh' will ensure you enjoy the experience of learning as much as you enjoy acquiring new skills that help you perform better. Yes, lunch is free, and we all like a free lunch however the highlight of your course will be the learning experience - not the break! Training is much more effective and enjoyable if you can apply the concepts you learn directly to your own circumstance. So the trainer will change text book activities to be relevant to you. Helping you learn today, and apply tomorrow! The courses are activity based learning. You receive some back ground theory, and then spend most of the time working together and with the trainer to apply the concepts to workplace situations that are applicable to your specific situation. Classes are an average of 6 people, max of 12. We keep classes small to ensure the trainer can work with each participant to tailor each activity to be relevant to each person's workplace/common scenarios. To see upcoming dates select a course or click here to view the complete national schedule including FISH! classes. "When FISH! made the rounds at our office it practically created a feeding frenzy. Everyone wanted to see it - and see it - and see it! This film is so much FUN to watch, and the message is so IMPORTANT to hear, that I carry it with me wherever I go." "Few things help an individual more than to place responsibility upon him, and to let him know that you trust him." PD Training is an accredited FISH! training provider with regular courses running in Sydney, Melbourne, Brisbane, Canberra, Adelaide, Perth, Parramatta. What will PD Training do to ensure your training exceeds your expectations? Hover over each piece to see more detail about our quality process. Once you have chosen a date for your course, operations team will specifically select a trainer with the right background, and style to really connect with your team. Your trainer will call you personally to develop a personal and clear picture of your needs. They use that information to tailor the course to your team. By entering your participants into the cloud we generate your sign in sheet, post course evaluations, certificates of completion, attendance records, quality reporting. Your participants receive contextualised, engaging training full of practical tools they can apply immediately back on the job. We review training feedback from you, the trainer and the participants to ensure learning goals were achieved. You can expect to see positive changes straight away... you call your training consultant back for your next training need.